The product possess advanced air compressing ststem,damping system and multilevel muffler which is extremely low in noise. Can be free to choose the size of the oxygen pump out of gas. Suction cups to fit any aquariums. 1.Connect pump to air stone of filter via air pipe. 2.Plug into 220-240 volt power point. 3.To prolong pump life, replace air stones regularly. 4.Never allow pump to come into contact with water. 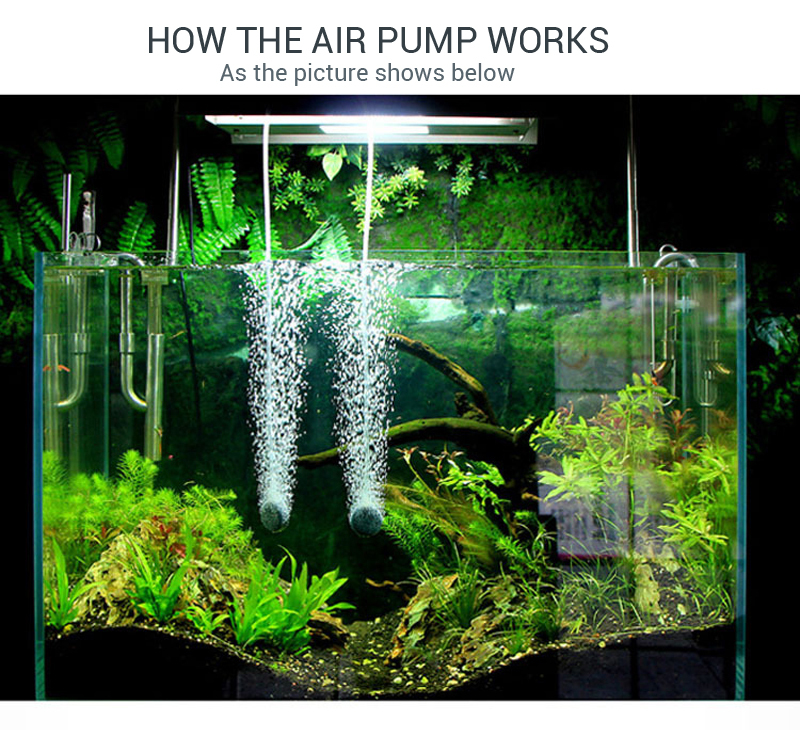 Tips: The working principle of oxygen pump is to use air vibration foam to increase the surface area of water contact with the air, so that the water dissolved oxygen in the air is more, to achieve the purpose of water dissolved oxygen.So the oxygen and water quality also have close relations, the same size of the aquarium, the better water quality is more easily dissolved oxygen more,making high oxygen content. When using the product recommend you put the pump in a higher position from the surface of the water, to prevent the battery no electricity, the water will backflow from the trachea, that burn out the air pump.